The MOTIVATIONAL COWBOY Partnered up with LIVET LIFESTYLE & LIVET.tv to bring you this amazing series on Nutrition, Supplements and Lifestyle. 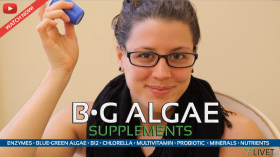 BACTERIAL VITAMIN B-12; A NECESSARY SUPPLEMENT! (LIVET.tv) Vitamin B-12, a.k.a. cobalamin, is a water-soluble vitamin that is necessary for energy production, DNA synthesis and regulation, fatty-acid building, metabolism, along with serving the circulatory, digestive, and nervous systems to function properly. 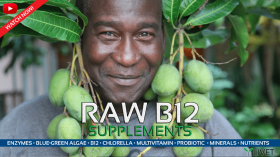 RAW B-12 is the safest form of B-12 Supplementation and is essential for optimum health on the Livet Lifestyle.